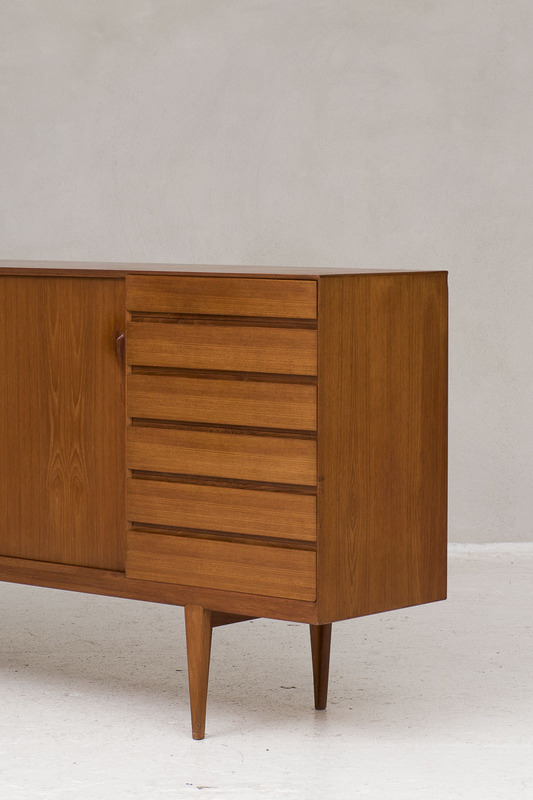 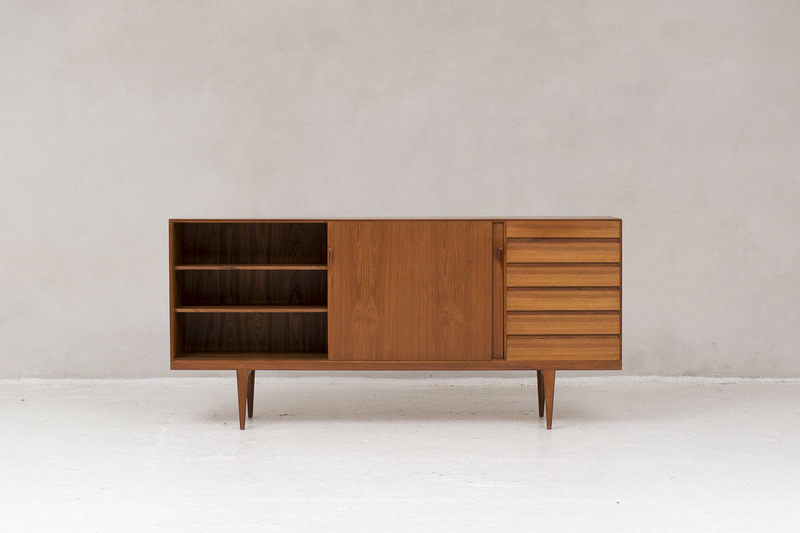 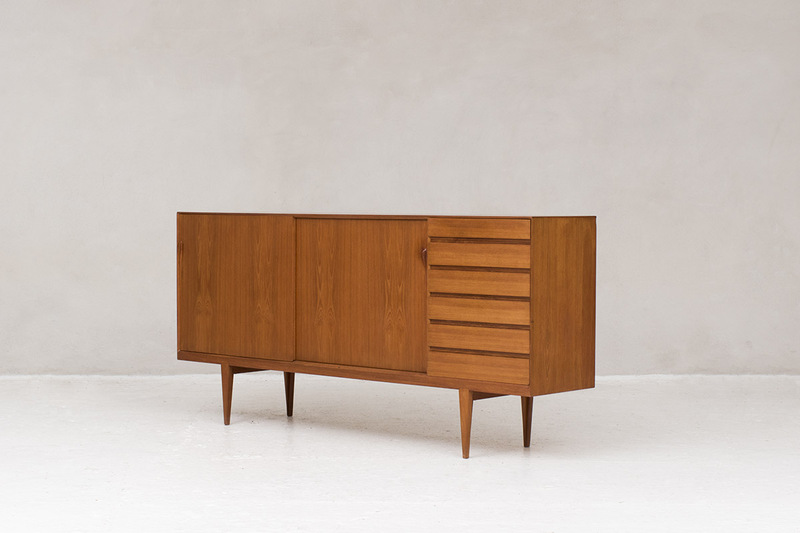 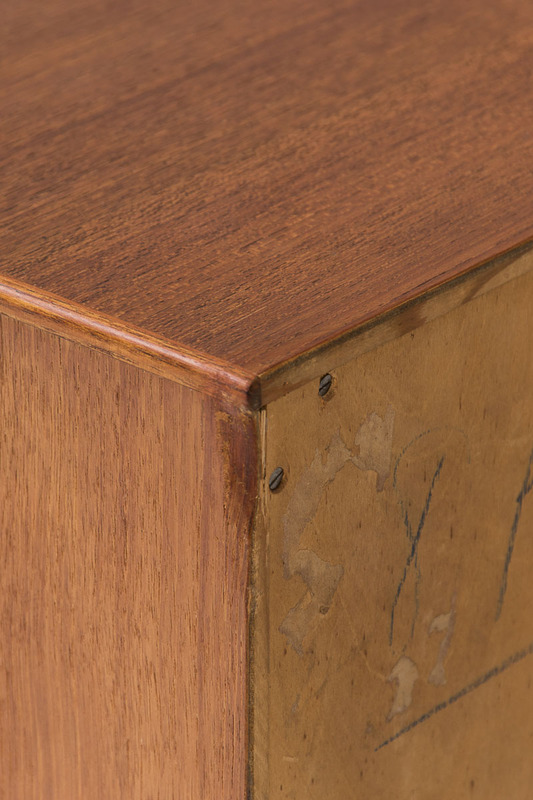 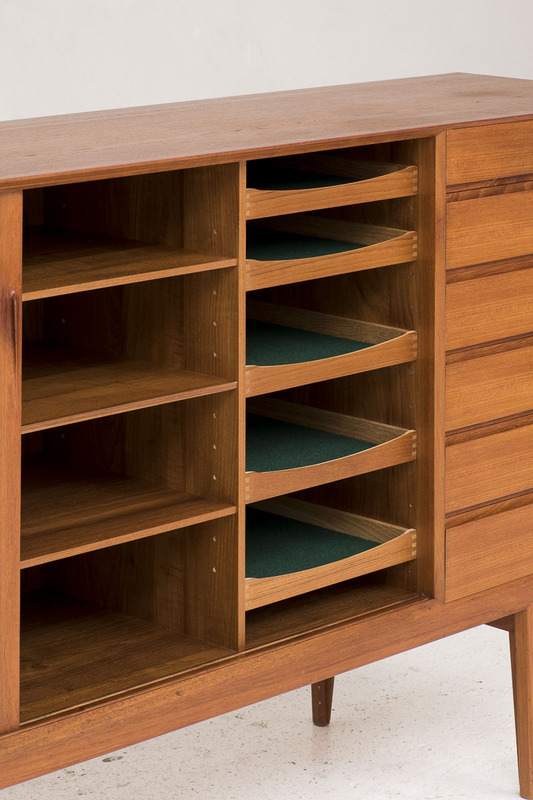 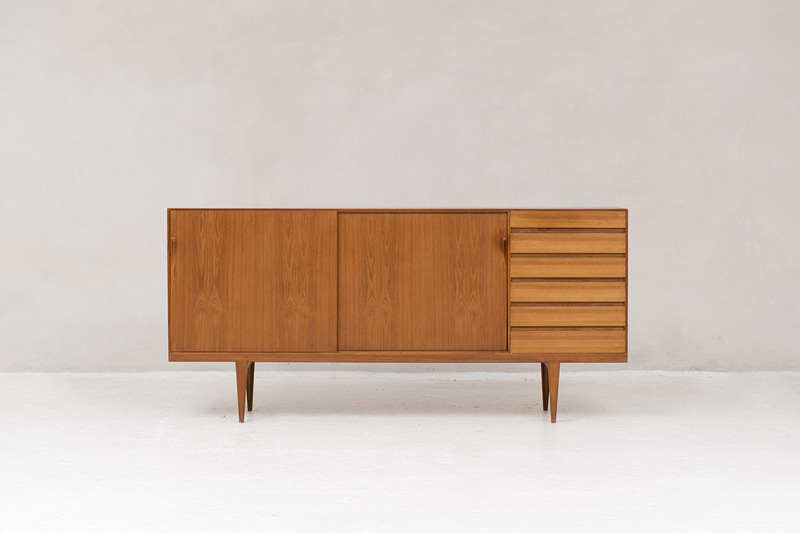 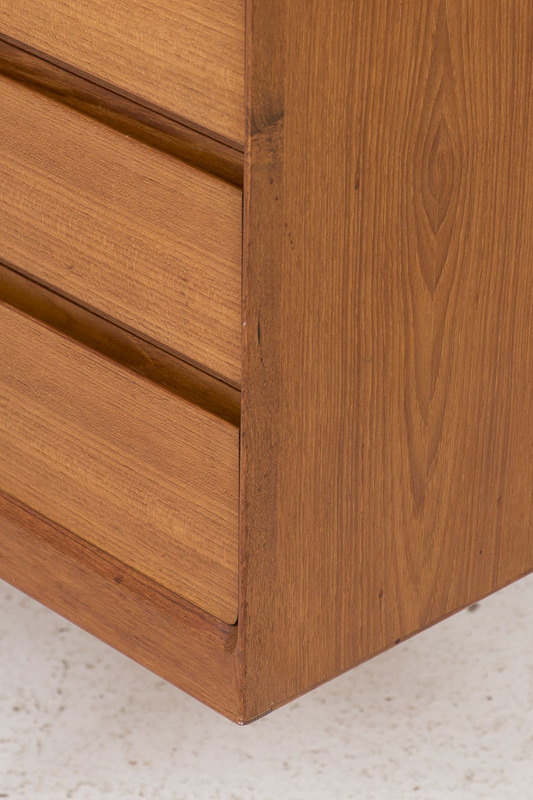 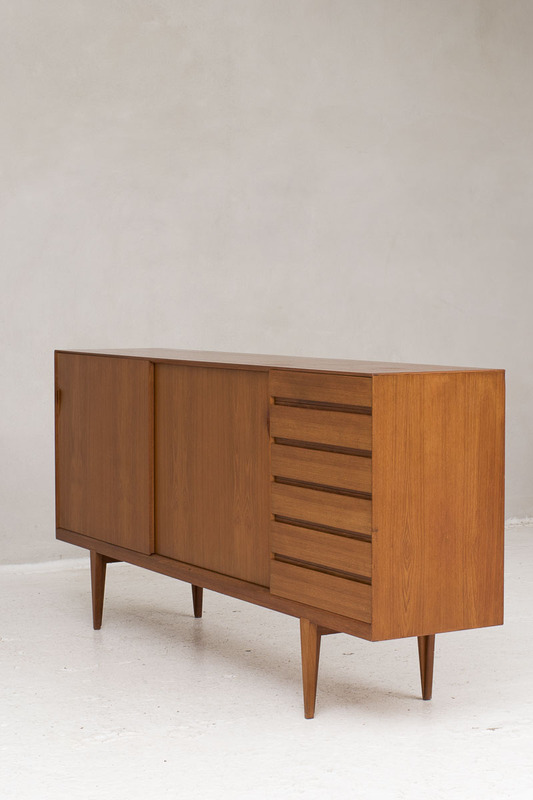 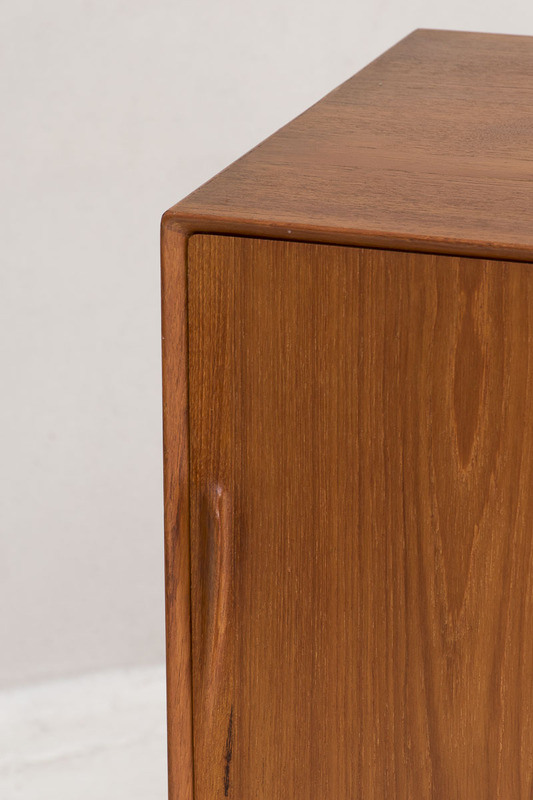 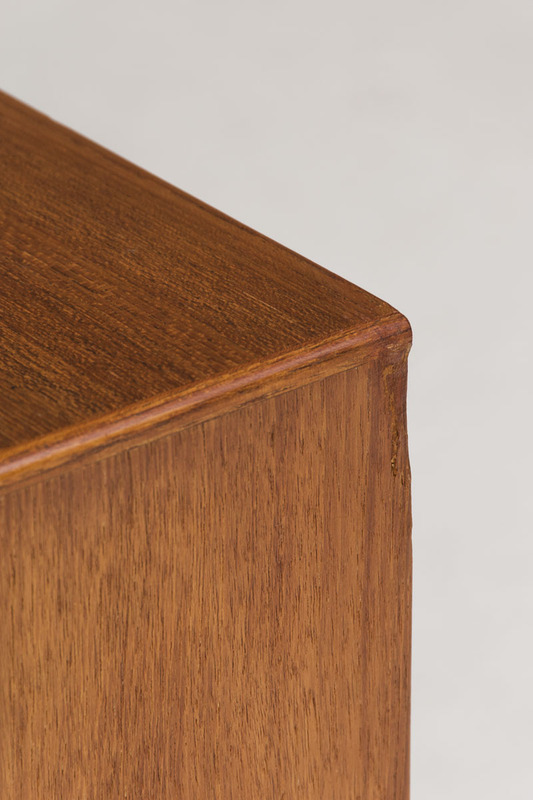 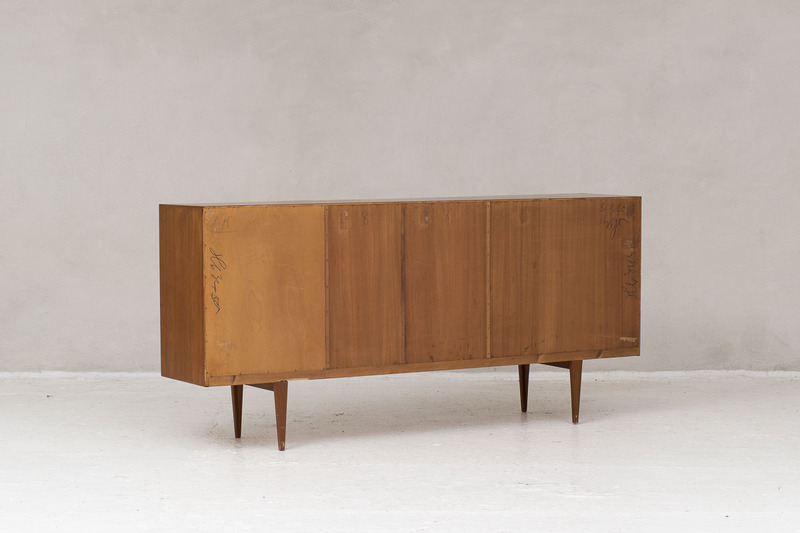 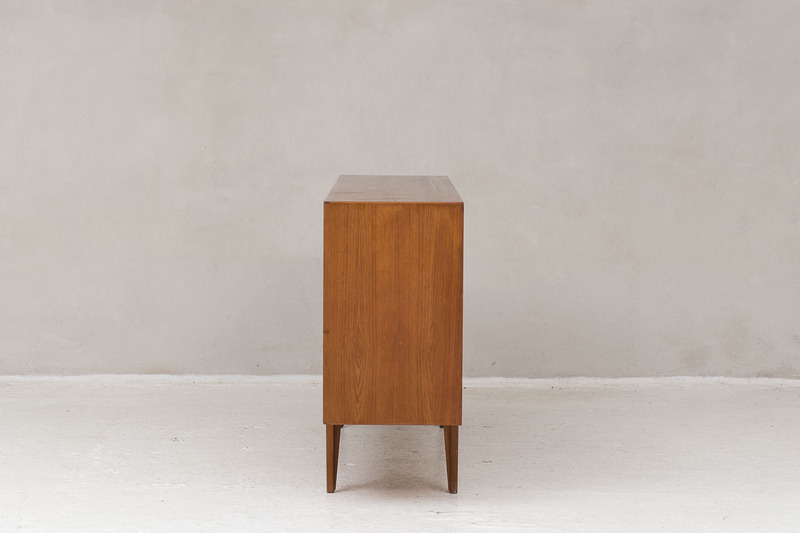 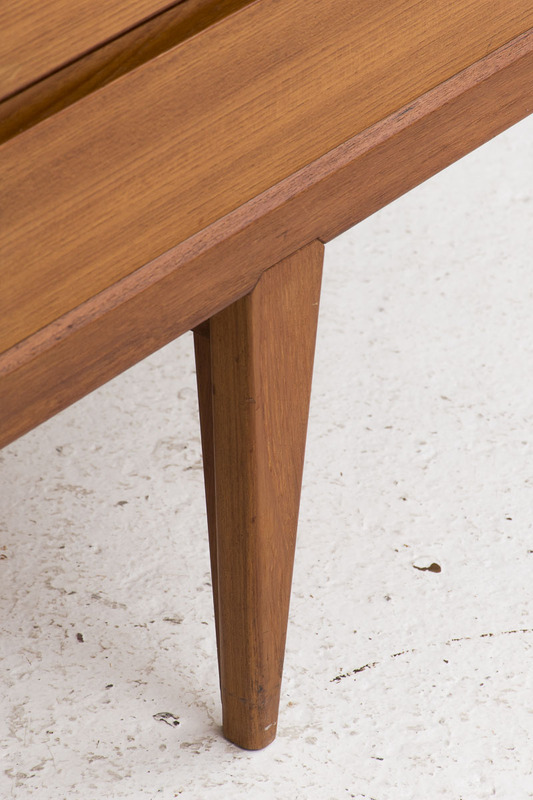 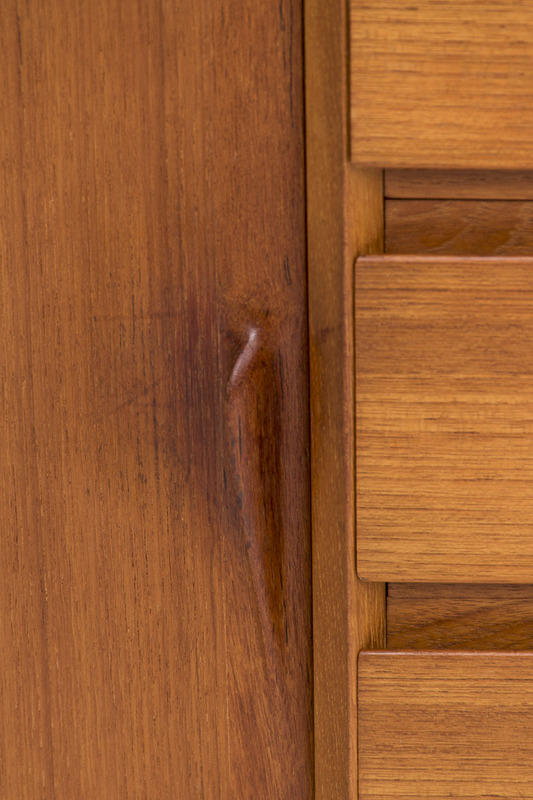 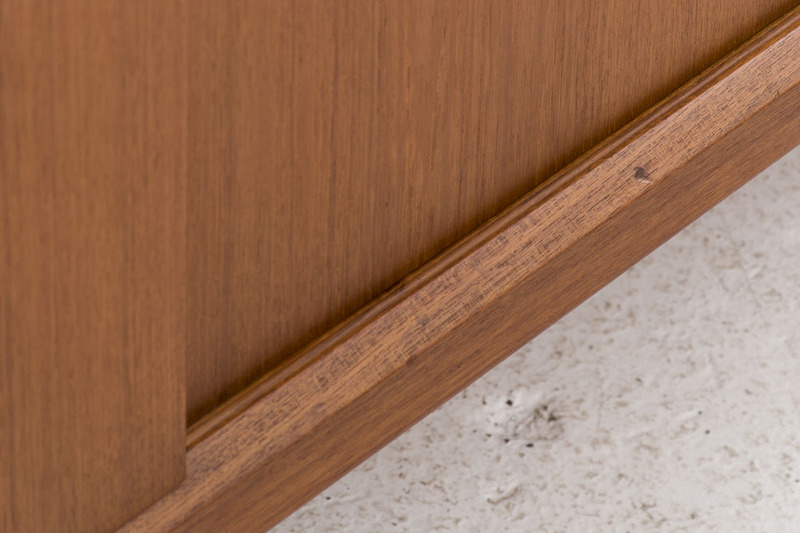 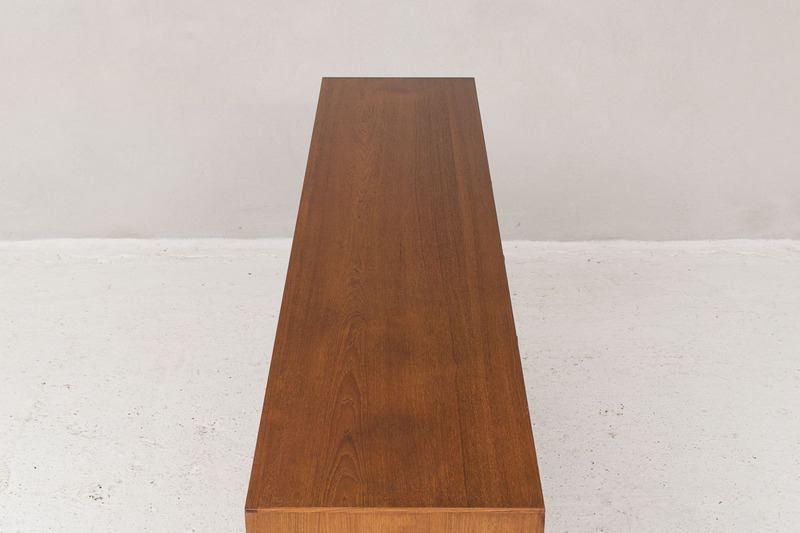 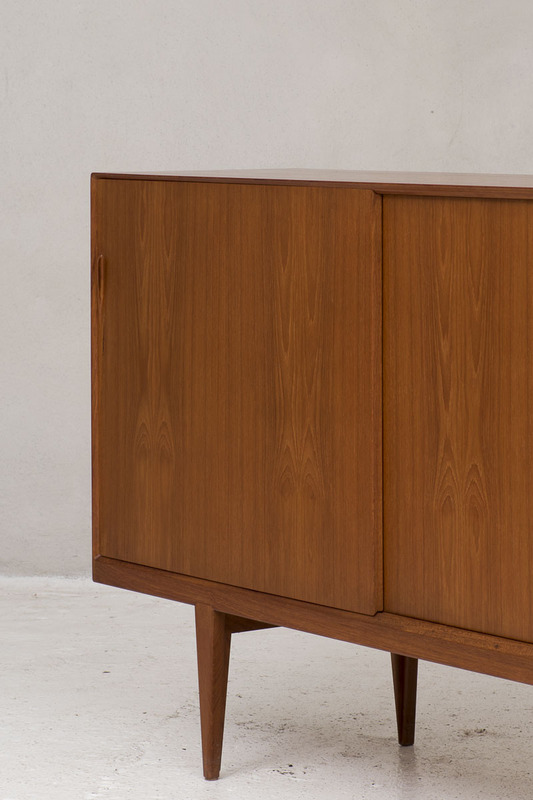 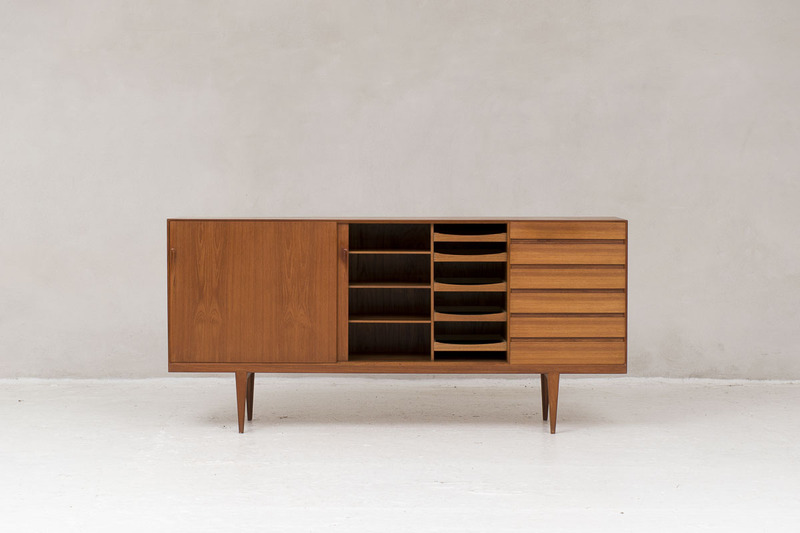 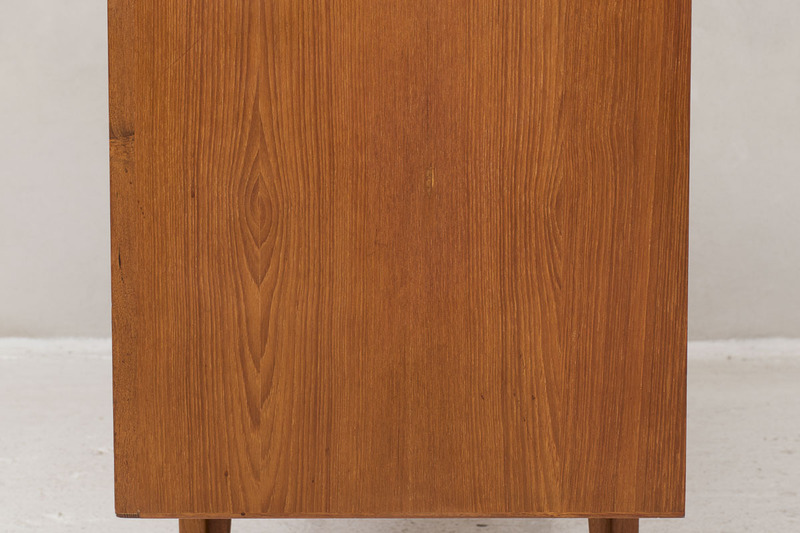 Highboard in teak designed by Henry Rosengren Hansen for Brande Mobelfabrik, Denmark 1960’s. 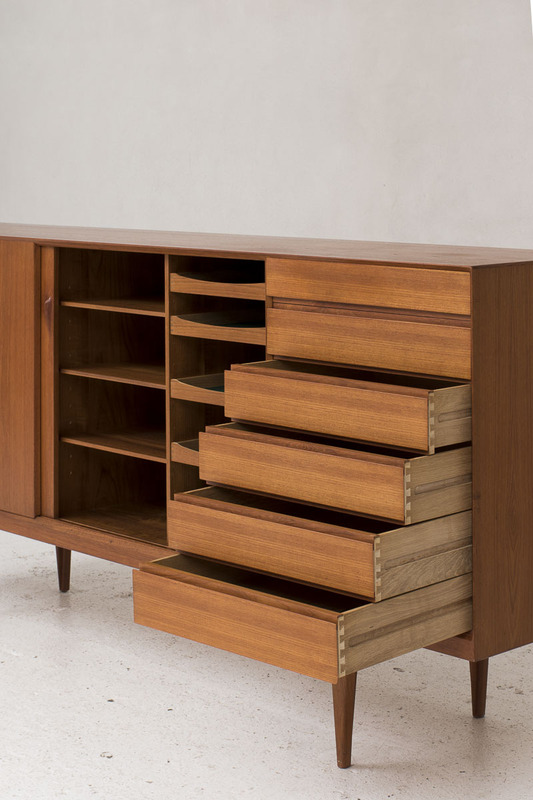 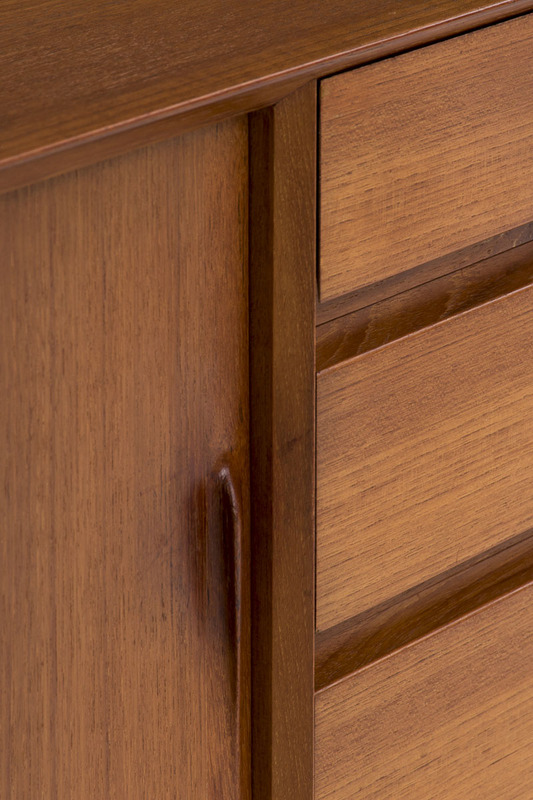 This highboard features 2 sliding doors and 6 drawers. 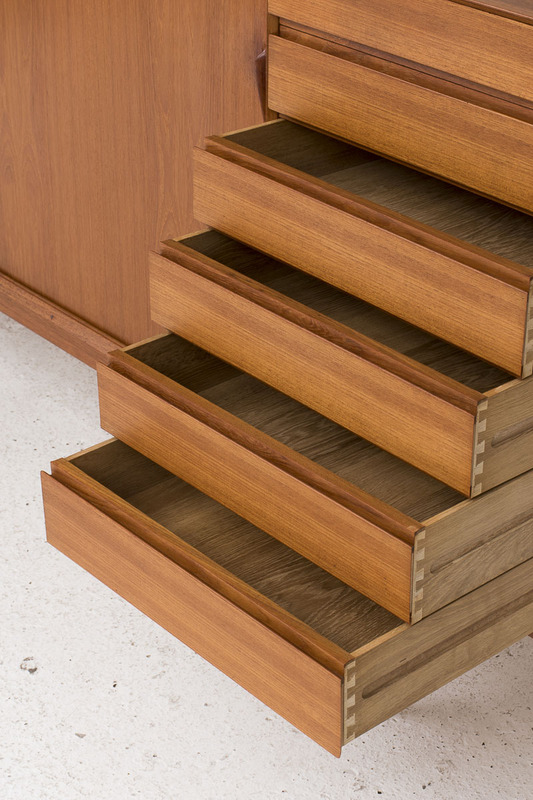 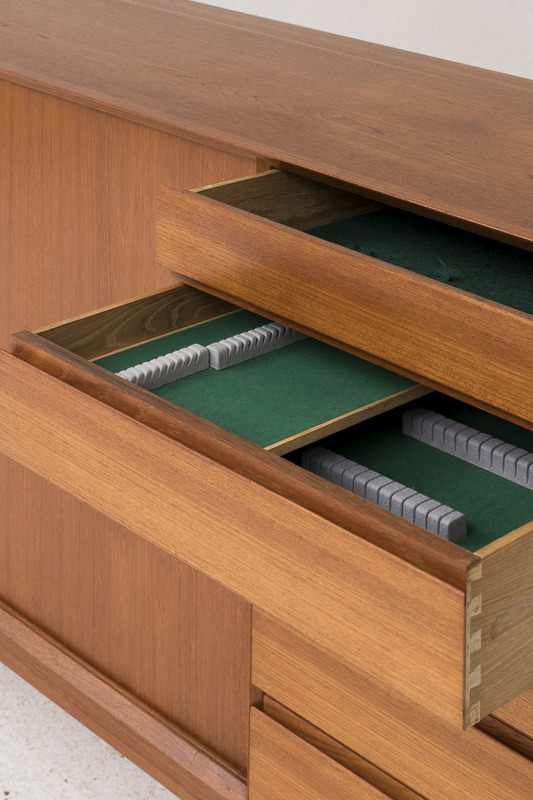 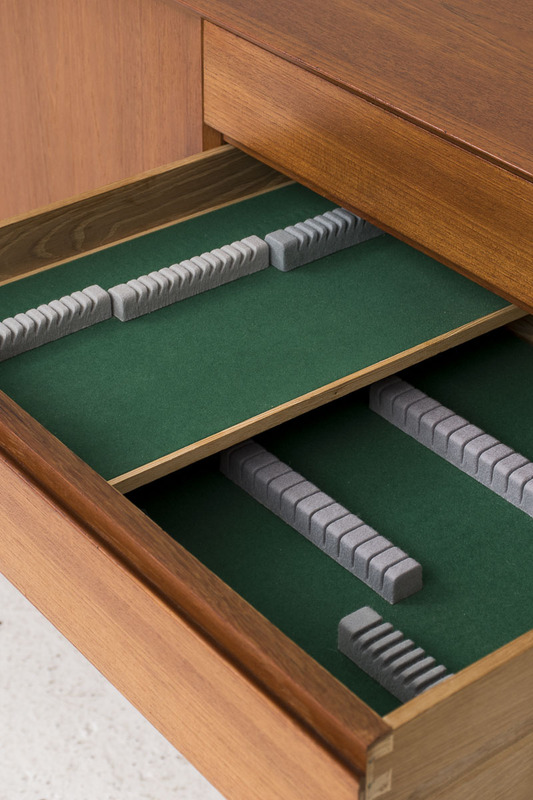 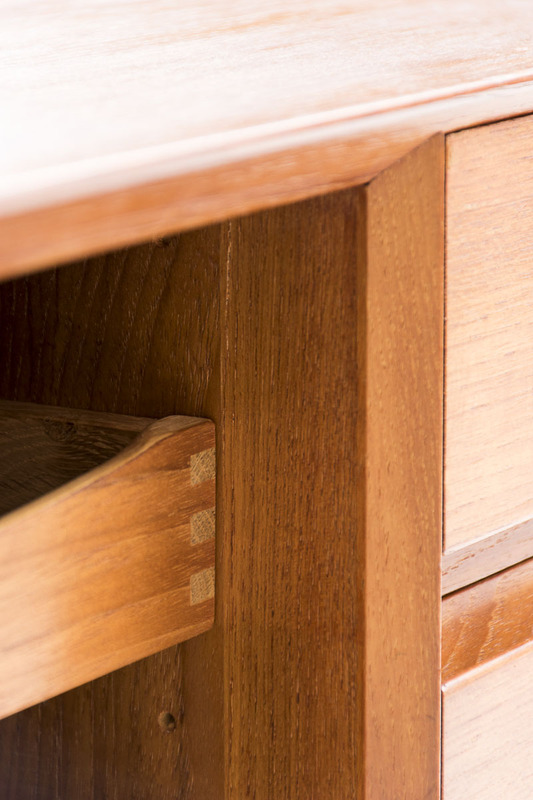 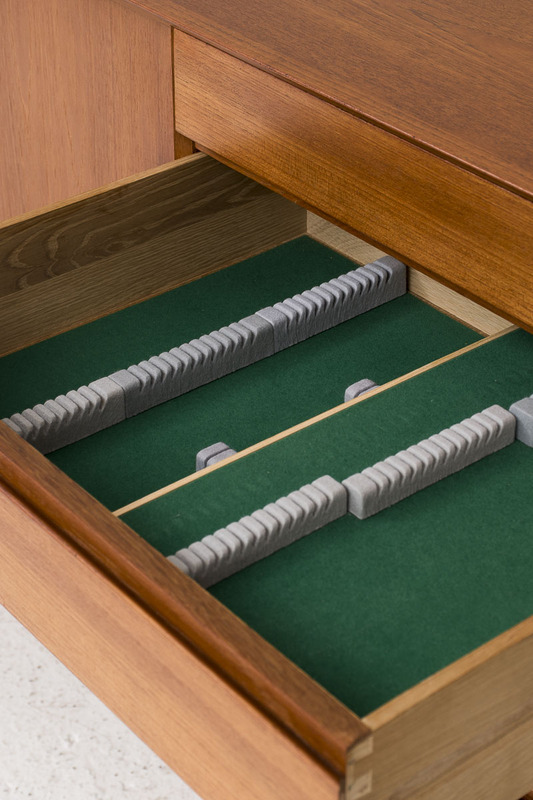 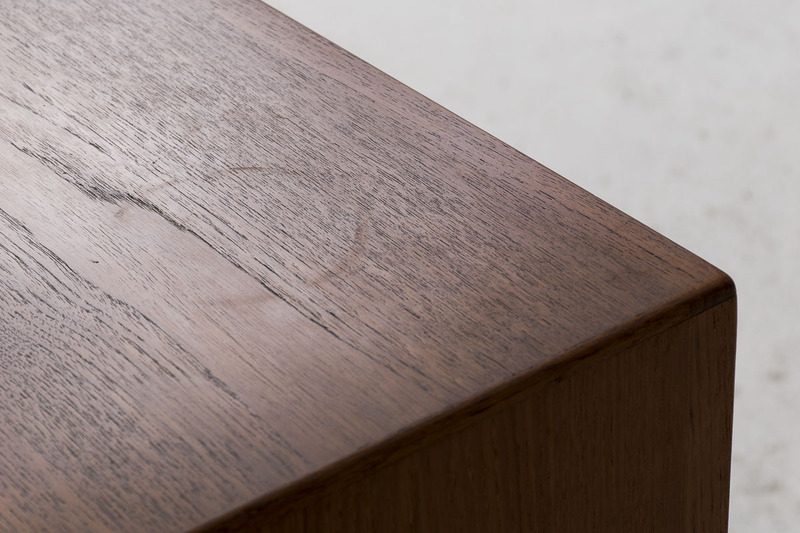 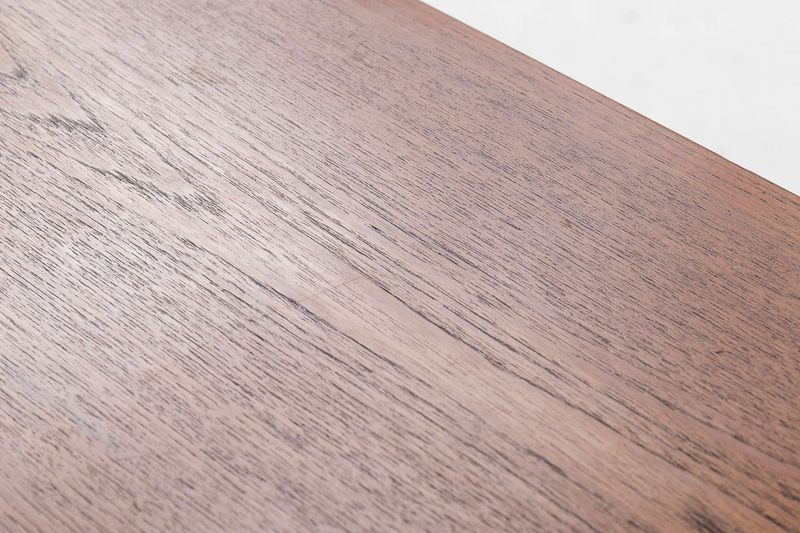 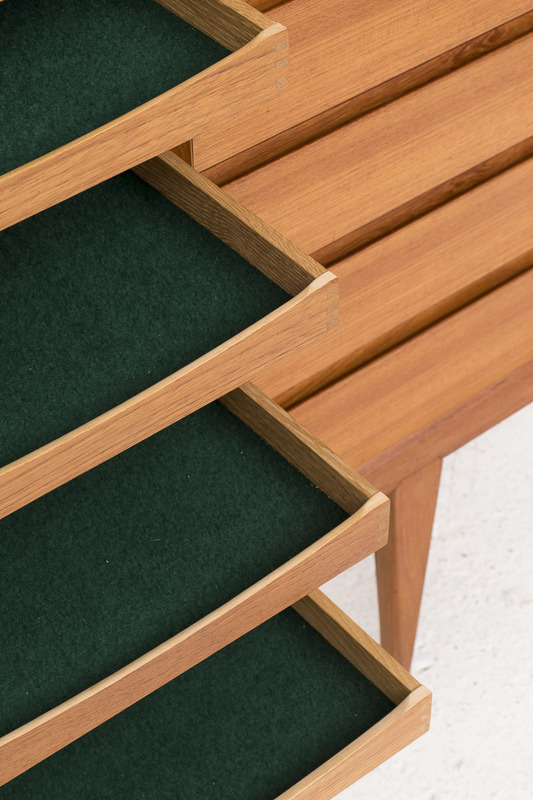 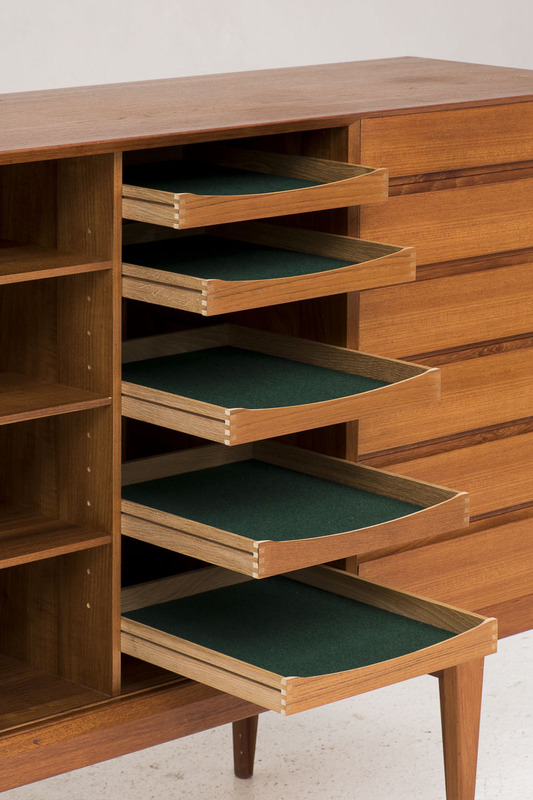 Some of the drawers have felt inside and have inlays for cutlery and space for tableware. 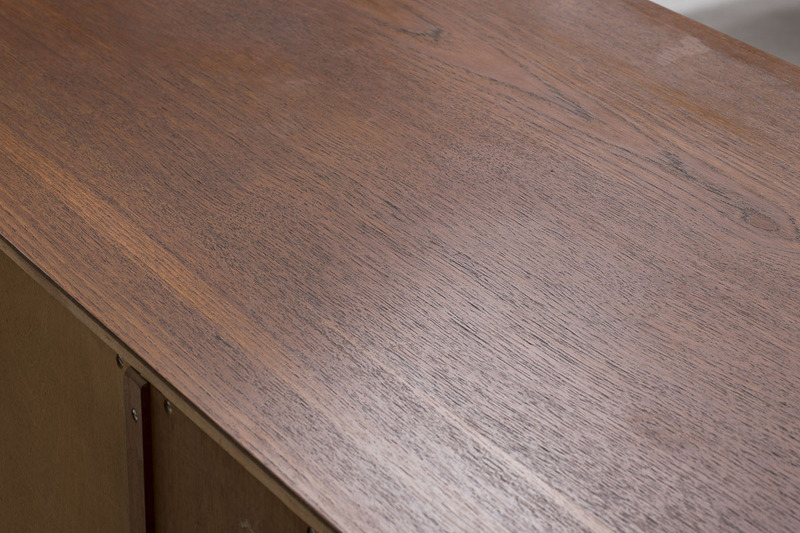 Some light wear visible but otherwise in near mint condition.